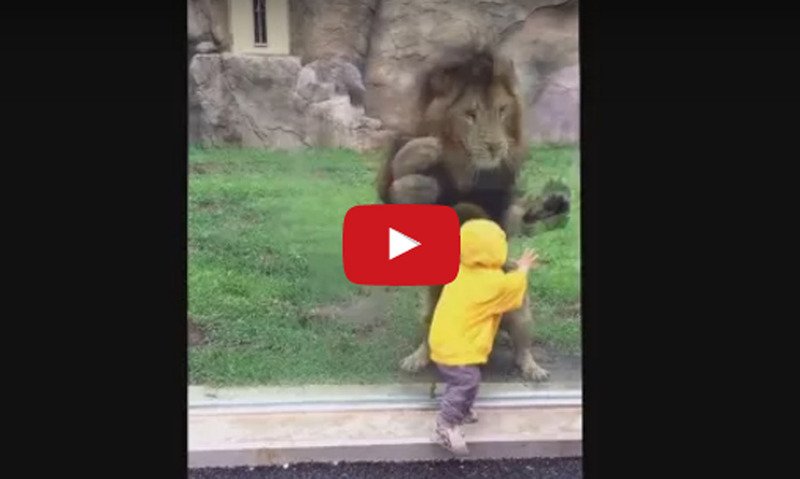 The video is terrifying as you can see the lion trying to pounce over the kid only to find a glass thats separating him from the outside world. The lion waited for an opportunity and as soon as the kid turned it’s head he pounced at him. The lion from the zoo in Japan was involved in staring at kid and waited for the perfect opportunity to pounce at the kid. When the kid looked away the lion leapt forward before slamming itself against the glass door. Zoo authorities claimed that the lions action was not a sign of aggression and he does that often with kids as he loves to play with them.